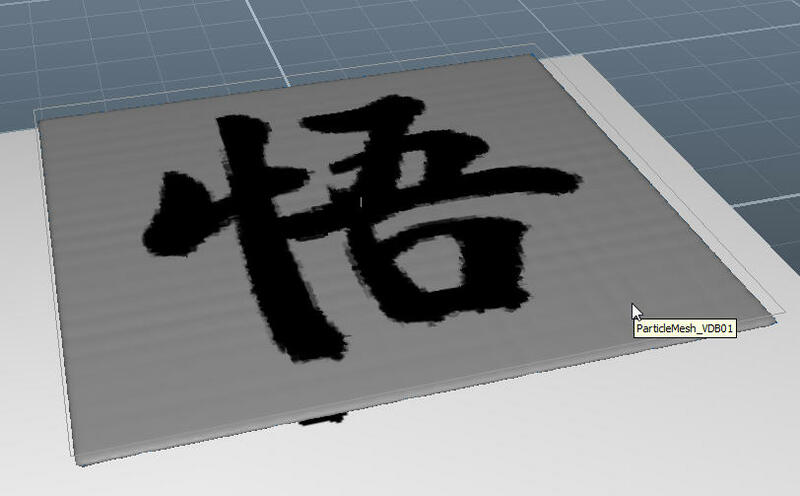 can anyone tell me how to use Texture Gizmo so my mesh have texture on it? THERE SEEMS TO BE A BUG IN THIS DAEMON. I COULD NOT GET THE FOLLOWING TUTORIAL TO WORK TWICE! IT SEEMS TO HAVE WORKED ONLY THE FIRST TIME!!!!!!!! 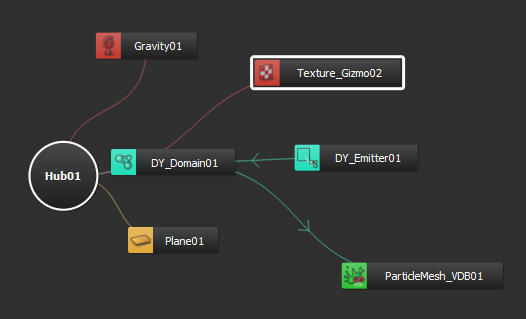 The purpose of the Texture Gizmo is to "pick up" a texture that has been applied to an object, and apply it to a Particle Mesh that was created from any of the particle emitters (Dyverso, the Standard Particles, Hybrido or Realwave). 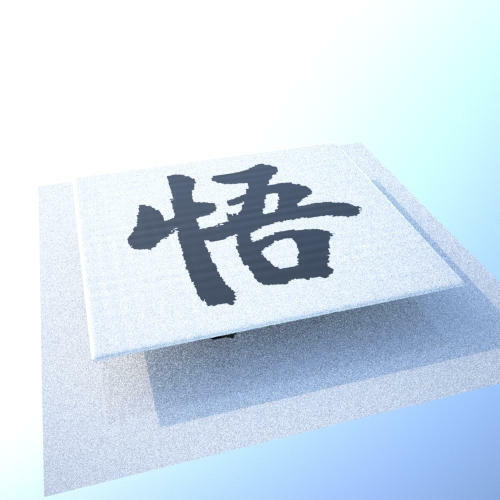 You must have an object in your scene that has a texture file applied to it. Here is a simple example that uses a Plane Object with a black and white bitmap applied to it. I will position a Dyverso emitter over the plane (but it could be positioned anywhere and in any orientation). I will emit particles down toward the plane, make a mesh of those particles, and then render the mesh that will have acquired the texture image from the Plane Object. First, you must have an object in the scene, and you must apply a texture to that object. For this example, I have a Dyverso Square Emitter (with its associated domain) that is positioned over the Plane Object and will emit particles down toward the plane. The Emitter is re-scaled to match the dimensions of the Plane Object. In this scene, there is Texture Gizmo daemon. For the Texture Gizmo setting, you click on the blank line "texture from obj" and select the object that contains the texture file you wish to have mapped to your particle mesh. 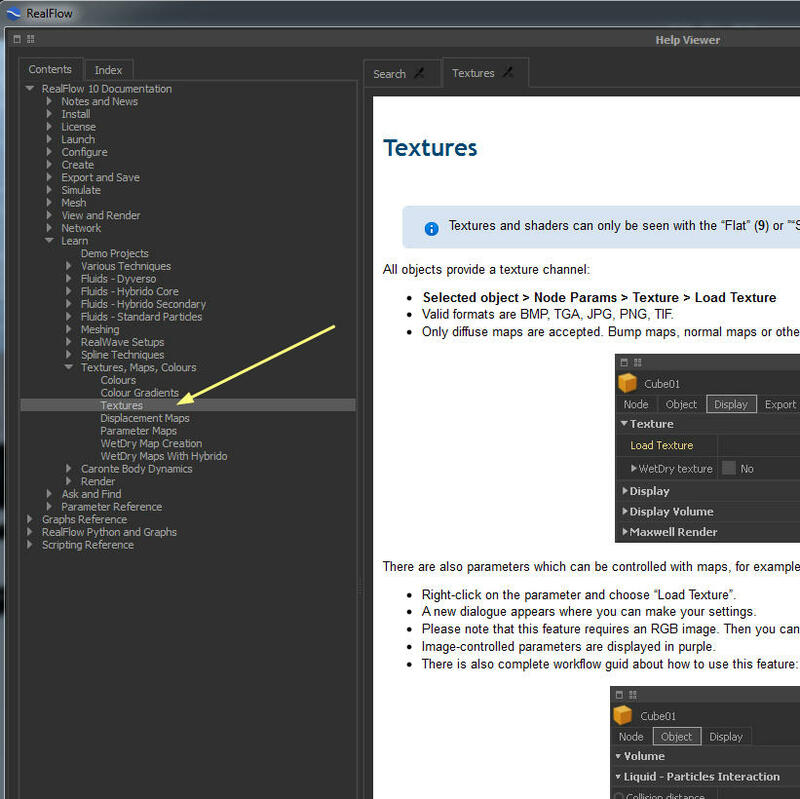 Here is a Texture Gizmo Daemon setting that says to take the "texture from obj", that is the plane object shown above. 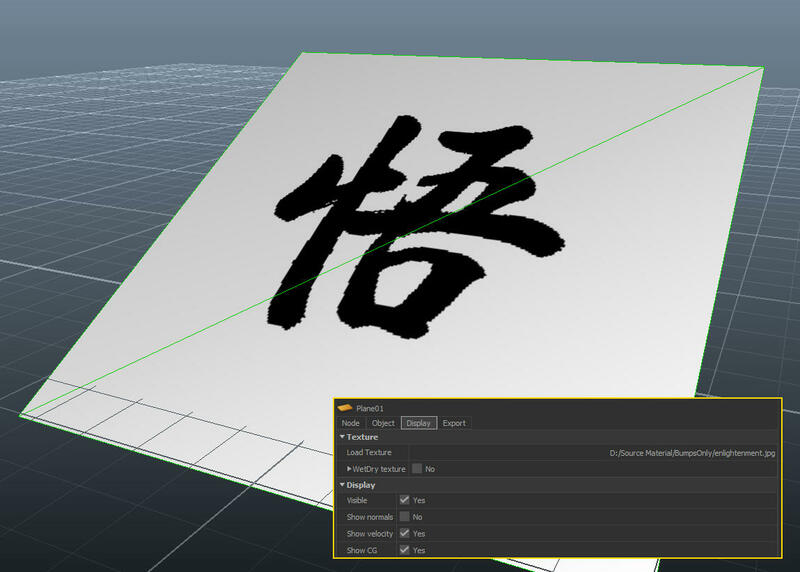 Now, you add a Particle Mesh to make a mesh from the emitted particles. When you execute and make the mesh, the mesh will acquire the texture that has been applied to the Plane Object. Here is one render of the Viewport showing the mesh with the texture mapped to it, when the Viewport Scene Shading is set to "Smooth Shaded." Here is another view, when the scene is rendered in Maxwell Render Lite that is part of the Realflow program. It may be that if the texture file is a *.png format with opacity, that the black parts of the texture file will render out as transparent. But I have not had time to test this. Do you have more questions about this? If so, please ask them. I can upload a sample RF10 scene file set for you to experiment with it.